The wine of the vintage? Quite possibly! But let’s wait five years then decide. With another year of vine age and our growing experience of farming this site, we are really starting to hit our stride in our Estate Vineyard. This wine builds nicely upon the great quality of the 2011 release. 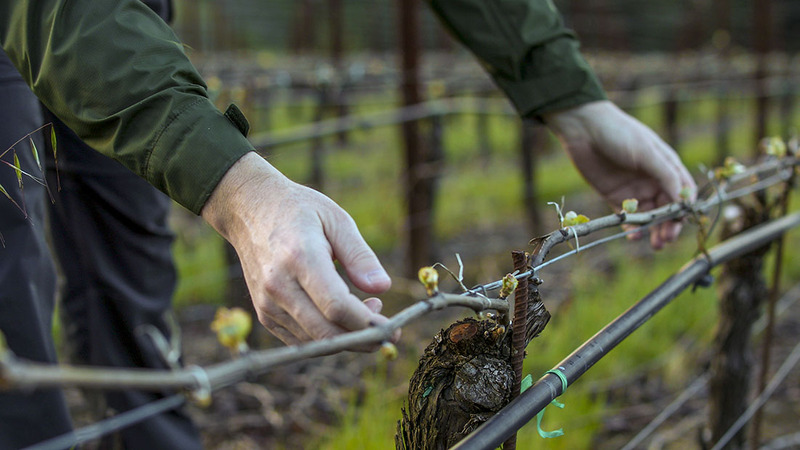 As the vines become more balanced with their environment, so too the wine shows increasing natural balance between its fruit and earth elements. These are the traits that set the finest sites apart – sites where one doesn’t need to resort to late picked super-ripe fruit nor extreme winemaking to produce great complexity in the glass. This wine has three important elements that distinguish many great wines: depth, clarity and persistence. A depth of fruit that spans the red-black spectrum and is both fresh and deep. A precise, clear ‘vineyard signature’ that’s the wine’s dominant feature each vintage. A lingering deliciousness with aromas and flavors that echo and prolong the enjoyment. This wine is generous right now but will ascend to another level given five years in bottle. Intense dark fruit aromas – black cherry and black raspberry, cassis and cocoa powder. Then dried herbs and subtle bay leaf and rhubarb/tamarind complexity. Smoked meat elements to the palate with blackberry and ground coffee alongside cherry compote. Shines on the mid-palate, depth and concentration but sophisticated and complex. Great structure, deep tannins with vibrant fresh acidity and complex savory inner perfume. Drink between 2015 and 2025. One to age.